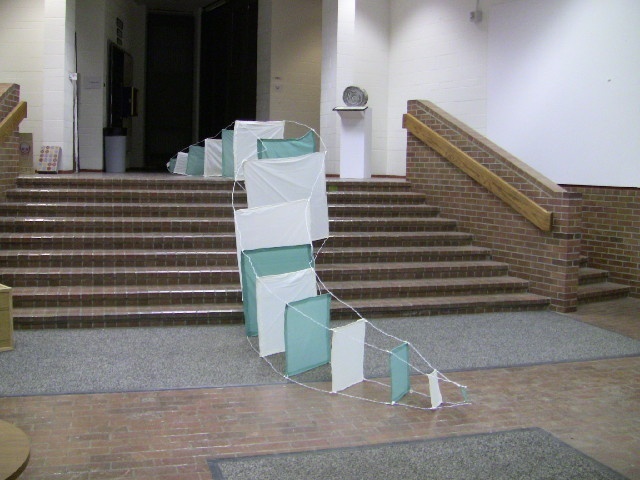 27 ft. long, playful snake of squares sauntering through the room and down the stairs. The piece is made up of wire hangers, shower curtains, rubber cement, and white duct tape. Reminiscent of kites flying through the air.